Definitely the nicest handle I've yet seen-paid or otherwise. Thank you again. Blade/handle is good, too, but the handle and is fantastic. Used it to cobble together a sword using my favorite blade, guard, and now your handle. Definitely the nicest handle I've yet seen-paid or otherwise. Thank you again. This looks beautiful! And for free? Neil Wilson (4 years ago) Inappropriate? Great, Wonderful, Thank you very very much! This cannot be a simple thank you. This is, one of the best models I've ever seen! Increadible detail! Outstanding!!!! Downloaded, and rated with thank. jst5150 (8 years ago) Inappropriate? This is a very nice quality prop. Thank you very much for sharing. xarinn (8 years ago) Inappropriate? 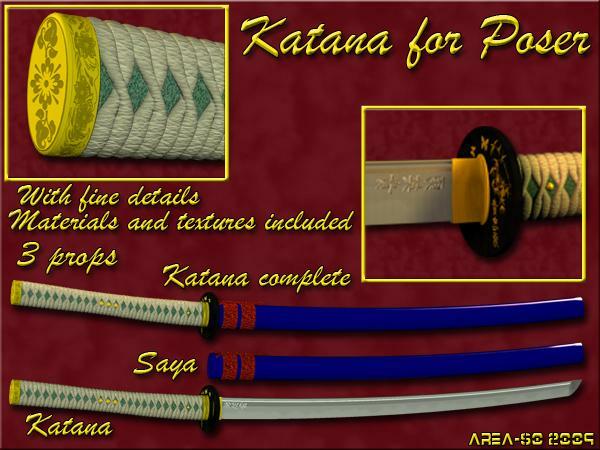 Than you for this beautiful katana! PaPaZulu (9 years ago) Inappropriate? Nice sword prop, thank you...!